Dr. Arnie Dahlke has a doctorate in psychology from the University of Minnesota and is currently an independent organizational consultant for public and private companies and is the program director of the Industrial & Organizational Psychology program at Touro University Worldwide. After receiving his doctorate, Dr, Dahlke joined the Psychol­ogy Department at the University of Oklahoma where he taught at both graduate and undergraduate levels. 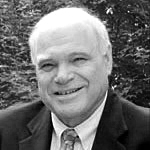 He then became the Research Director of the Kensington Office of the American Institutes for Research (AIR) in Wash­ington, D.C., where he monitored and conducted a diversity of research projects deal­ing with cross-cultural communication, strategic planning, training effectiveness, and adjudication of youth­ful drug offenders. Dr. Dahlke has also participated in the development and implementation of a unique approach to psychotherapy, known as Twenty‑Four‑Hour Therapy, a coordi­nated, 24/7, team approach that provides patients with therapeutic contact in their natural life environ­ments and has been a practicing MFT and a consultant to the Human Inter­action Research Institute of Westwood, California. He has taught courses and seminars at all levels from adult students to college freshman to graduate students at several universities, including the Univer­sities of Minne­sota, California, Maryland, Nevada, and Oklahoma, as well as the Philips Graduate Institute, Mary­mount, Antioch, Ryokan, Touro University Worldwide, and the California School of Professional Psychology. More information about his career can be found at his website. Was there a specific moment in your life that you feel led you to becoming a psychologist? That's a good question. I had thought about four or five different careers. I started off college as a Math major and was very interested in science. I ended up in the Army for a couple of years; somehow during that time I was taking some night courses and got really interested in the field of psychology and changed my major when I came back. I guess you might say that I just started to evolved into it. I was, I had always been interested in people and what makes them tick. Maybe it was right there from the beginning and I didn't realize it. First you said you were a Math major. At what point did you start switching over? About half way through college. I was through calculus and my dad got sick. I had to go home for a year and at that point, I ended up getting drafted in the Army. By the time I came up my career plans had changed. Can you explain your educational path of obtaining your Psychology degrees? I got my Bachelors, my Masters, and then my Doctorate. I was fortunate enough to get my Doctorate from University of Minnesota in Social Psychology. They had a very, very outstanding department, with some well-known Social Psychologists. I just sort of combined research with group psychology and individual psychology in the sense cause they're all wrapped up. I got the whole spectrum when I went there and so it was a very, very good program. I enjoyed teaching; I was a teaching assistant when I was there and I was a research assistant working out some projects. I decided I was gonna become an academician. I decided to teach full-time and I ended up with my first job at the University of Oklahoma, quite accidentally. When I was in the army I wasn't locally home and I vowed I would never go back there again. It was so boring and dry and everything, but when I was starting to look for a position, the Dean of The Social Sciences, who used to be the head of The American Psychology Association was now the Dean at Minnesota and he was walking by his office and said; "Arnie have you chosen a place yet?" and I said: "No" and he says; "You know they need somebody down in Oklahoma who can kind of put a foot on both applied and research worlds which you seem to move back and forth the aisle between them. They could use you. Why don't you go down and be interviewed?" I thought to myself well I haven't done any interviews so might as well be a good experience. I flew down there and got interviewed. They put me in a room with 50 different people. Students, faculty, the Dean, who knows who was there; just peppered me with questions and of course I wasn't planning on being there so I just answered anything I felt like was a good answer. I mean I didn't even worry about the answers, what I mean was, I just spoke what I meant. Turns on they were very impressed by that and made me an offer on the spot. Then we had a little social gathering that night and I enjoyed the people so much I decided well, I'll give this a try. I ended teaching up there for four years and getting tenure. It was a very good experience and I did have my feet on both the research and the applied worlds. I had grants and contracts from the Air force and from NIH to do some research studies with students and at the same I was doing a lot of talks around the state. I even had a television series at one point called "Adventures and Behaviors", where I brought the latest ideas in psychology to people around the state. Part of the way through, about my third year, I was involved in the project where I was evaluating the team building that was being done at Job Corps centers and it was a contract that was funded by the government. I ended up doing a little traveling to different Job Corps centers and part of my traveling included being in Washington, DC, because we were funded from there. I fell in love with DC and I suddenly talked to myself; I don't wanna grow old in the still town of normal Oklahoma. I decided to look around and found a very very neat position as Research Director for American Institutional Research which is a large Social Science Research Organization in DC. We had roles Social Psychologist, Sociologist, Political Scientist, Historians, Retired State Department People, Retired Military People, etc, doing all kinds of research funded by various agencies and Federal Government. I was there about 10 years and had a ball with all the projects. My job was to monitor the quality of the research and to get new research written by writing proposals for grants and some contracts and things. And long about the 9th year, the contracts started drying up because government was pulling back funds and I was getting kinda bored with the stuff that we were doing. I happened to be talking to a friend of mine out here in L.A. coincidentally, he was, not coincidentally, a PhD student of mine out of Oklahoma who went out to become a clinical psychologist. I was talking to him, and he said; "Well you’re a little restless he said, I've just been asked by the manager by the beach boys who works with Brian Wilson who's really going through some problems and you know a lot about teams. Why don't you come out here and coordinate the team for me?” I thought you know, take a leave of absence and see if I like it. I think probably within two to three days after I set foot in California I realized that's where my soul belonged. Just really resonated to California, and anyways, I decided to come out full-time. I worked on that project for a couple of years and while I was doing it I figured well, I'm a psychologist, and I'm working with the therapy team; I might as well get licensed. I went out through the training hours and so forth and got licenses as an MFT: Marriage and Family Therapist and had a practice for a couple of years. Then I had always been doing consulting on the side for organizations and I decided, I want to do this full time. For the next twenty years I did nothing but work with organizations, large and small, government and non-government, doing team building, manager training, employee surveys, customer feedback surveys, you name it. In fact, people ask me what I do and I say I'm kind of an organizational Jack-Of-All-Trades. That's really what I just described to you, all of that is the essence of IO Psychology, Industrial-Organizational Psychology. My philosophy, my basic philosophy, is that organizations are all about relationships, and relationships are all about individual people, and everybody's unique, and those two factors, the relationships, and the unique people are what make organizations either succeed or fail. That's where my focus is all the time. Trying to improve collaboration, improve performance of individuals, do away with that old blame game, and make it everybody problem solving minded instead of blaming minded that kind of thing. A lot of team work. In fact, I've done a lot of team building and managing teams and stuff. How did you get involved specifically in Organizational and Industrial Psychology? Just when I first started doing the consulting with organizations. Industrial-Organizational Psychology is all about applying basic psychology and research methods to organizations. I already had all of that background and it was just a matter of applying. We here at Twirl, champion what we call the scholar practitioner approach, and that's very important to us. It’s very important to me. It's not enough to learn all kinds of academic theories and fancy research and so forth. If you can’t do anything with it in a practical sense in the work setting, then that really doesn't do you any good. In fact, I've learned this lesson, probably within the first year and half after I started my full-time consulting. I was working with a client down here in Southern California and I was doing manager training for him. I would prepare handouts for the training sessions and at night he'd always of course look them over. But one day he said to me when I came in with a new one, "You know this is all very interesting but why don't you get a hobby, I already have to rewrite it so we could all understand it." I'm a champion of pop-biz writing, in case of writing. How would you describe Organizational and Industrial Psychology to someone who wouldn't know the first thing about what that means? That's a tough one. Like I said when people ask me what I do, I have to pause for a minute, and that's where I tell I'm a Jack-Of-All-Trades. I think the main tribe of Industrial Organizational Psychologist's is to improve organizational functioning. You know there's a MBA - Masters in Business Administration, they're more on the financial side of making sure the business, the bottom line is protected and so on and so forth. industrial-Organizational Psychologist's although they do deal with that are much more on the people side. It takes people to, well when you get right down to it, the most important resource of organization is people. Getting people happy, comfortable, prepared, trained, etc, etc, you do all that and everything else takes place almost automatically; profits, customers, and everything else. I sort of describe Industrial- Organizational Psychology as the applied science of improving people and collaboration and the way organizations over all function, because they are after all built on relationships among people. I hope that answers your question. Could give us brief synopsis of your personal career starting from kind of your first job as an organizational-industrial psychologist till now. Another hard one to answer! I've worked with so many organizations it would be like going down the list and talking about every one. could sum up a couple of things in more general terms. I've worked with several organizations who needed to develop more effective managers. I've done a lot of manager training where I teach them how to interact with each other, how they interact with their employees, how to get the most out of their employees. It used to be by the way that the model of managers was like a policeman. You know you gotta make sure it gets done the right way boom boom. But now a days, more and more the role of the manager is to bring out the best in his or her employees and that means looking at each employee individually and giving them the right kind of training and support and mentoring to bring out the best. I've done a lot of manager training in a lot of different organizations, ranging from small automobile dealerships to County departments. Then the other thing I've done a lot of even more is probably teamwork. I've conducted team work retreats with police departments. There was a department up in Sonoma County in California, permitting department, had about 160 employees and it was formed by bringing together about 70 independent little departments. There was all kind of turf protection and a lack of communication between these different sections that were now part of this one organization. I was called in to do an extensive team building with that whole department, I had worked with them for almost a couple of years and we gradually brought them all together as one team, communicating with each other, and there were all kind of techniques I used to do that which would take hours to go into. I was essentially building an organization wide team. In fact, I ended up writing a little book about that because it was such an exciting experience. I've worked with several organizations doing employee surveys, where they are concerned that the morale is low or the customer's aren't being treated right and so how do employees feel about the organization and what's going on. That by the way, the results of those employee surveys are often what lead to more work for me. When I’m covering needs that the organizations had that I could fill as an Industrial-Organizational Psychologist. I’ve also done a lot of customer relations training, development of customer feedback surveys, and a lot of coaching and mentoring of individual managers or CEO's, etc. There was a lot of process improvement. I developed a technique called Strike Teams, where instead of having one committee as a process improvement committee, I train people throughout the organization how to use the right kind of problem solving tools and when a need arises they form a team. They call the strike team to solve the problem for example, I was working with one auto dealership and the business office was complaining about the sales people weren't filling their forms out properly and what could they do about this. They got a couple of sales people together and some couple of business people together and I facilitated the meetings forum to make sure they stayed on track. They literally improved the process and cut down the errors completely. Months after that they weren't getting the same mistakes, things like that. Like I said, improving processes, improving collaboration, improving productivity all of those kinds of things are part of IO Psychology. What is your book's name? It's described on my site, I've never got around the publishing it. I've used it with clients. It's called "Joe Gig and The Old Man on The Mountain" which is a strange title. The reason for the name is originally I wanted to write a book on Organizational wide team building I had seven different strategies for doing it. I wrote a nice scholarly little book and shared it around with different clients and I got the same reaction I did years before; this is interesting but too academic. About that time, this was like 1998 or something like that when I became acquainted with a book called "Who moved my cheese?" I don't know if you familiar with that or not, but it's a book about change It takes place in a maze with some little characters looking for cheese but it makes all kinds of points about change and how to deal with it. I felt well maybe I should tell mine as a story, so I created this guy named Joe Gig who had a gadget company: Gig's gadgets. He was doing really well and he went for a vacation and for several months he came back to find out to his dismay that the organization was not working really well as a team anymore, things were going wrong, people weren’t getting along, and he decided to go up to his favorite mountain hike for the weekend to think about what he should do. He was up at the end of the day, the first day, and sat down by a tree and fell asleep. Then some old man awakened him and asked him if he was okay and he said yeah and he explained why he was there and the guy said, "Why don't you come out and have dinner with me? Stay with me over night? We have a lot in common." Well, it turns out this guy was a very successful businessman in several different businesses. He had a house and I took all the different rooms in the house, each room became a metaphor for one of my seven strategies for building teams. I told it like that and he's got very serious points in it but its told as kind of as a fable. Then I wrote another one which is also you can see on my site and again I just used that with clients, instead of publishing it out right. It’s called "You, Me and the Power of Choice." It's based on the firm belief that we have choice at what we do and most people think that certain things are instinct or automatic but when you get right down to it every step you take, every word you hear, every movement you make, is something that whether you realize or not you're choosing. I had one little chapter in there for example that somebody or some secretary was all upset because somebody hurt her feeling and I said, "Where are the feelings coming? Show me where they are and maybe we could massage it." She said, "No, no, no, they hurt my feelings." I said, "How did they hurt your feelings? She said, "Well they said so and so. I said, "So you reacted inside." We got into a long discussion but the bottom line is, things happen to people, and how you respond is your choice. If somebody says, "Oh Arnie that was a stupid thing to do." I can think to myself, wow that was a stupid thing to do and feel a little bad about it or I can say, gee I wonder what's wrong with that guy this morning. Or I could say gee, he doesn't know all the facts. In other words there are or five different ways I can handle what's coming at me and how I view what’s coming at me then determines what I'm gonna choose to do. I always make the argument that your feelings are your own, nobody hurts your feelings, you’re the one who’s in charge of them. If your hurt, if you got hurt with feelings it is because you interpreted something in a way that threatened you or you know that made you feel not so good about yourself or something and things like that. I have a third book, this one I did publish just recently in fact, it’s called, you know the dummy series? It's Business Succession Planning for Dummies. It’s all about how organizations need to develop succession plans for their top CEO's or for their key talent so that they don't lose stride if one of those people leaves. If someone wanted to become an Organizational or Industrial-Organizational Psychologist what would be the most optimal educational path? Probably getting a Bachelors in Psychology or even Sociology or combination of both. I'd say it’s making sure they had psychological courses and not being afraid of research. There are research and statistical things involved in it and then going on for a Masters in Industrial-Organizational Psychology and if the school has a program going on for a Doctorate. The higher the degree the more people earn usually, by statistics. We're very excited by this program, its a totally online IO Psychology program and I'm very very committed to getting students involved in applying what, like what I said the scholar practitioner, applying what they are learning to their own profession and professional lives, their real life situations, otherwise it just don't make any sense. I'm getting very very good feedback from students about how excited they are about this approach. If you know anybody who wants to take an online Industrial-Organizational Psychology program, I'm your guy. Learn more about I/O degrees. What have been some of your favorite things about your job as an Organizational-Industrial Psychologist? Seeing people smile when the problem gets solved. Seeing something run more efficiently. Seeing people work together in a very collaborative situation. Okay, I'll tell you a little story on that one. One of the projects I had was going around to the country under a grant funded by the Office of Education. Our job was, this was in the late 70's, was to look at the future of adult education in the 90's and what would be its needs. My colleague and I went around to all the different federal regions and each region had a 3-day retreat. We didn't in a sense a leap to the future retreat you know if you had no strings attached and your hands weren't tied, what would you like the field of adult education to be like in the 1990's; which seems that timeline was far away off but it came pretty fast. We got people to really stretch their minds and leap into the future and so forth and in each of these sessions the audience of course was a little different because you're in different parts of the country. People are different in different parts of the country so we had to adjust the way we did the meetings, leaving a little bit to tailor to each meeting. What we would do is have our first day and in that evening, we had dinner and we had a get together in one of our rooms and kinda brainstorm at what how the day went and what do we need to change for tomorrow and so forth. My friend and I were very comfortable with each other and we might end up shouting at each other and telling each other that's a stupid idea or whatever you know and then go out later and have a drink. I had another friend who came on one of the trips with us and he sat through one of those evening sessions and afterwards he said, "You guys always do that?" I said, "Yeah, why not?" He said, "Well I sat there getting ulcers listening to your shouting at each other. My notion of a good team, a good collaboration is that people are secure enough and free enough to be able to disagree with each other and even shout at each other and still walk away with you know hand in hand. I have emphasized that a lot when I do team building that, it's you know, too many people are too afraid of their image and too afraid of the consequences of what they're gonna say and when you create that kind of atmosphere you really have good team work. Could you describe anything about your job that's been difficult or has been a hardship for you? Perhaps something students should be prepared for when entering this career field? Bureaucracy. Sometimes the larger the organization gets the more bureaucratic and rigid it becomes. I've run into that several times. It's what people need to be prepared for. It’s to know that this is gonna happen; it's a part of organizational life. They just have to find a way to deal with it and the way I deal with it is educating people about the impact of too many rigid bureaucratic procedures. When I can get people to open up a little bit and be more flexible they really do so much better. In fact, just recently I finished a class, it was actually in an MBA program that was an organizational development and change course The students represented a lot of different organizations and what I did was all about leadership at one point. I had each student read a different book on leadership and then come in and make a presentation to the rest of the class and what they learned from that book. It was fascinating what happened was, they looked at organizations like Google, Facebook, Xerox and Walmart, you know like 16 different organizations. The trend they saw and I saw going through these organizations is the newer, younger organizations like Facebook for example, or like Zappos the shoe distributor through the internet, these organizations are very different that the old time organizations. They are very flexible with work and home schedules, they are very unbureaucratic, they are very flat and their organizational structure, they're very innovative, in fact, one of the organization gives people 20% of their time and in fact that's Google. 20% of their time each week to do anything they want to see if they can come up with innovative and inventive ideas. They have a tennis, I mean ping-pong tables in rooms, they have coaches where they sit around and can meet with each other and can talk about something that they're dealing with and just a whole different atmosphere of an organization. It looks like these young organizations which are the ones now who are beginning to be predominant in the Fortune 500 companies are gonna be the new way of operating and I'm fascinated by the millennial generation people born between the 1980 and 2000 who are raised on all of the new social media technology and the different way of thinking about people and groups. That's gonna influence organizational behavior, if not going to, it is obviously, already influencing organizations and the way we do business. As a consultant or as an Organizational Psychologist in the field, do you have certain business or government jobs that you did, a certain case that you did that really inspired you and that you felt was really successful and you really enjoyed doing? Well, the reason that it is a hard question to answer is that I had worked in many different organizations. I always got my business by word of mouth. I didn't do any marketing. For a while, for about four or five years of that consulting time, I was working pretty much with automobile dealerships who would, one guy loved what I did talked to another dealer about it, who then got me to work with him and talked about me with another dealer about it and so forth. Working with those organizations it was fascinating and exciting. I don't know how much you know about auto dealerships, but they have like four different organizations in one. I mean they have the business offices who are hourly employees, they have sales people who are commissioned, paid by commission, they have technicians in the service department who are like independent contractors you know they're like several different kinds of organizations all together. The culture in each department is different. Bringing them all together as one organizational team is a real challenge and I've been successful at doing that in several dealerships and had evolved at doing it, that's one example. Another example is this permitting department I told you about up in Sonoma County, that probably was one of the most all in one kinds of consulting cases I've done because not only did I do the traditional training needs analysis survey but I did team building, manager training and processing. I did all the different things I've done with different organizations, just about all of them I did in that one organization, so I guess if that were, if I'm gonna do like a case presentation, that would probably be one cause it sums up all the stuff I do. Do you see the field of Organizational - Industrial Psychology changing? What should we expect from the future? First of all, its growing. I've read someone, I don’t have it in my fingertips at the moment, but by 2014, the number of IO Psychologists needed is gonna be 16% higher than it is now. It's the fastest growing component of psychology that there is right now. Number 2, two major, major forces, I'm going sort of combine internet and social media, from the internet was the original one with email and doing things on the computer and social media and piling them all together is a digital technology development, that coupled with the incredible globalization at stake in place with organizations around the world. Those two forces are changing the way organizations function over night literally. It's not, now I talk about the virtual team meetings where somebody in Paris, somebody in South America and someone Washington D.C. are meeting all together at the same time via computer. Communication, advertising, recruiting, is all taking place through, it’s all utilizing social media to do it, on a worldwide basis. Now people are having to become more aware of the impact of culture and when I was in D.C. by the way, one of the projects I had was with the Army. They were concerned about soldiers being in different parts of the world and so we developed a series of what we call cross cultural communication guides for twenty-two different countries. These guide would essentially be little tips and techniques for somebody going to the country; here's things you shouldn't say, certain behaviors that you should be aware of and observe, and here a certain polite things to do and this would be impolite to do and so forth. That kind of thinking now with this worldwide globalization and interconnectivity that we have through social media is becoming more and more and more critical now. I see IO Psychology moving in the direction of helping organizations adjust to these traumatic changes.